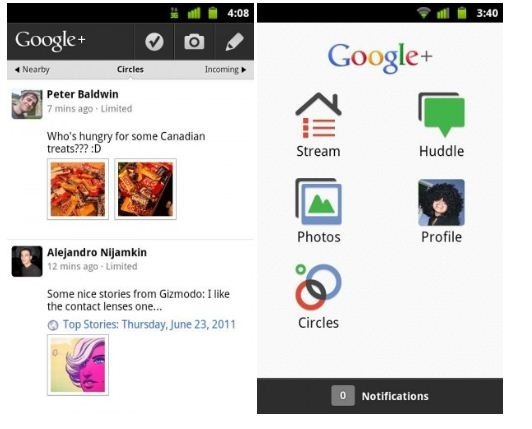 Yesterday while announcing the Google + social networking site, Google has released the Google + app for Android phones in Android market, but at the initial stage the app is only available for limited countries, and mostly people living in other countries where the Google + application is not available for download through the Android Market. 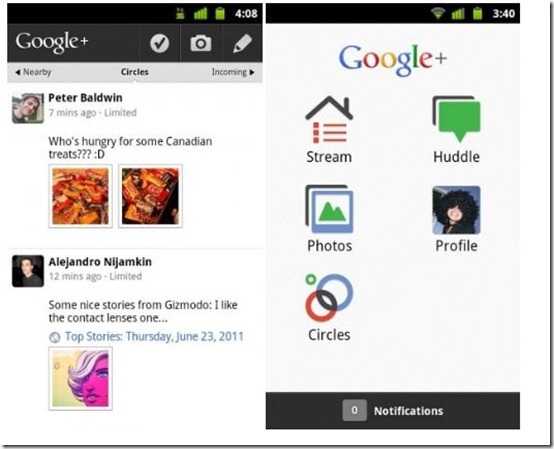 So many people who luckily got the invitation of Google + start wondering, how to gain access on the application, – I just got the access on the application and now shared the direct APK file of Google + app for your android phone. To install this app on your device, simply move the file from your computer to SD Card root, and then navigate to the file through the file manager on your Android device. Currently the service is only limited to some people, so it is useless for you until you not get the invitation of Google +.